Amy J. Narry, 51, of Hookstown (Greene Twp. ), died Sunday afternoon, May 6, 2012 in the comfort of her home with family at her side. Born December 19, 1960, in Rochester, she was a daughter of Margaret (Fellows) Stanley of Brookfield, OH and the late Robert L. Stanley. She was a member of the Mill Creek United Presbyterian Church, where she was a deacon and involved in the Children's Music Ministry and the Praise Team. 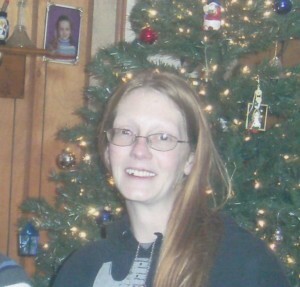 Amy was also a beautician, last employed at Fox Crest in Chester, WV. Imagene Reed, 77, Georgetown, died Sunday morning, May 6, 2012 in the comfort of her home with family at her side. Born April 15, 1935 in Leatard, WV, she was a daughter of the late Huebert and Phoebe (Howell) Boyer. She worked as a caregiver in the health field and had attended the Hookstown Free Methodist Church. Edward Paul Kosanovich, 52, New Brighton, died Saturday afternoon May 5, 2012 in the comfort of his home with his wife and family by his side following a brief illness. Born November 13, 1959 in New Brighton, he was the beloved son of Shirley (Liberty) Kosanovich, New Brighton and the late Paul Kosanovich. He was employed at the J. W. Steel Fabricating Company in Mars for 24 years. He enjoyed restoring cars, and was an avid Steelers fan. Robert G. "Gary" Hopwood, 71, of Georgetown (Greene Township), died April 6, 2012, in UPMC Shadyside following a brief battle with leukemia. Born February 14, 1941, in Uniontown, a son of the late Garnet (Hopwood) DiDonato, he was the beloved husband of Scherie Halstead Hopwood; the couple were married June 11, 1966. William M. Sutherin, 78, of Burgettstown (Hanover Township), died Friday morning, April 6, 2012, in the Washington Hospital. Born January 30, 1934, in Washington County, he was a son of the late James M. and Doris A. (Moore) Sutherin. A retired coal miner, he was employed by Starvaggi Industries and was a member of the United Mine Workers Union. He enjoyed hunting, fishing, cutting wood and just sitting on his porch waving to friends and neighbors. Jane Lombard, 85, of Hookstown (Frankfort Springs Boro) , died Wednesday morning, April 4, 2012, in the comfort of her residence, surrounded by her family. Born in Greene Township (Hookstown) on January 24, 1927, she was the daughter of the late Eugene and Marguerite (Ewing) Lombard. In addition to her parents, she was preceded in death by her sister, Marguerite Majors, and three brothers, Thomas "Tut", Jack and Eugene Jr. "Doc" Lombard. 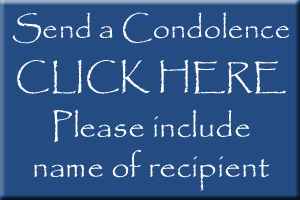 Richard H. Irons, 89, of Wellsville, Ohio, died Tuesday morning, March 27, 2012, in the East Liverpool City Hospital. Born January 27, 1923, in Monaca, he was a son of the late Earl and Jeanette (McIntyre) Irons. Mr. Irons was a member of Local 47 Steam and Pipe Fitters Union, retiring from the Bruce Mansfield Power Plant in Shippingport. A veteran of the U.S. Army serving as a Tech 5 during World War II, he attended the Campground Community Church in East Liverpool, Ohio, and was an avid fox chaser belonging to the True Blue Fox Hunters Club in Hancock County, WV. He was also a retired blacksmith. Timothy Joshua "T.J." Ordich, 16, of Holloman AFB, New Mexico, died unexpectedly Tuesday morning, March 27, 2012, at his New Mexico residence. Born October 20, 1995, in Beaver, he is the cherished son of William Matthew "Chip" Ordich and his fiancée Carrie Brewer of Monaca, and Carrie (Long) and her husband Richard Goodman of New Mexico. He is the beloved grandson of Margaret Long of New Mexico and the late Richard Rodell, and Terry and Melinda Ordich of Shippingport; beloved great-grandson of William "Bud" and Betty Green of Shippingport; dearest brother of Michael Ordich of Monaca, Gage Rodenbach of Imperial, Tyler Brewer of Monaca, Hailey Ray of Imperial, Maylyn Torpey of Burgettstown, Emma Goodman of New Mexico, and Makenzi Brewer of Monaca, and beloved nephew of Joshua Ordich of Shippingport, Lisa and Donny Miller of Arizona, and Jennifer Rice of Columbus, OH. His cousins, Katelyn Mick, Kristen Mick, Dylan Miller and Abigail Ordich, and numerous second cousins, great aunts and great uncles, also survive.